"We are the truth, Cora. We are the only truth in this entire fucked-up situation." This book starts off where we left off in The Truth About Lies. I couldn't wait to get my hands on this book because I loved the previous one. The Truth About Us was a bit more suspenseful which I really enjoyed. After the ending in the first book of this Duet, I was very impatient to see how the story would develop. 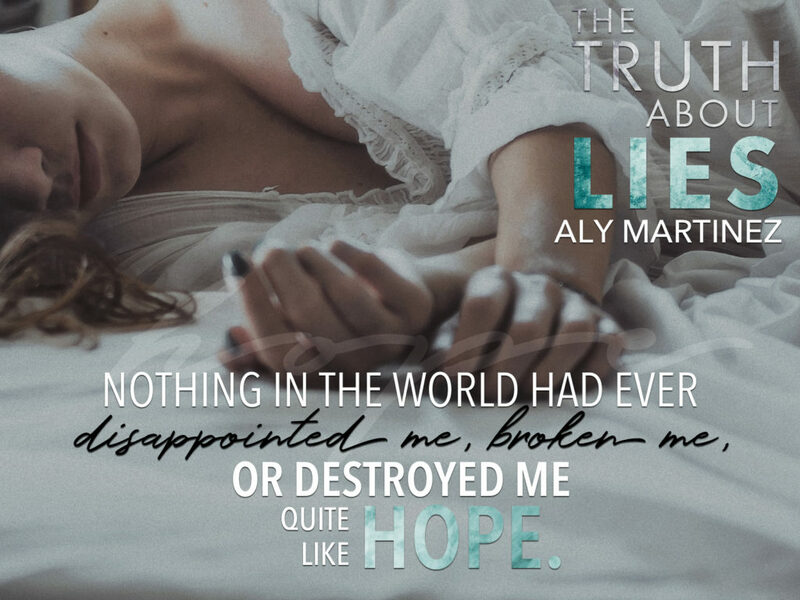 Aly Martinez did an outstanding job in telling Cora and Penn's story. I love these characters so much, and I was rooting for them to get their HEA. Penn will do anything to keep Cora safe, and that she can finally live her life without being in danger and constantly looking over her shoulders. Penn comes from a very different world, but he did a great job in adapting to his environment. He is a very down to earth loyal guy, and I find that very attractive. "Different can be beautiful. We came from different worlds-I will give you that. But I lived in yours, and now, you're going to live in mine. Because we belong together." 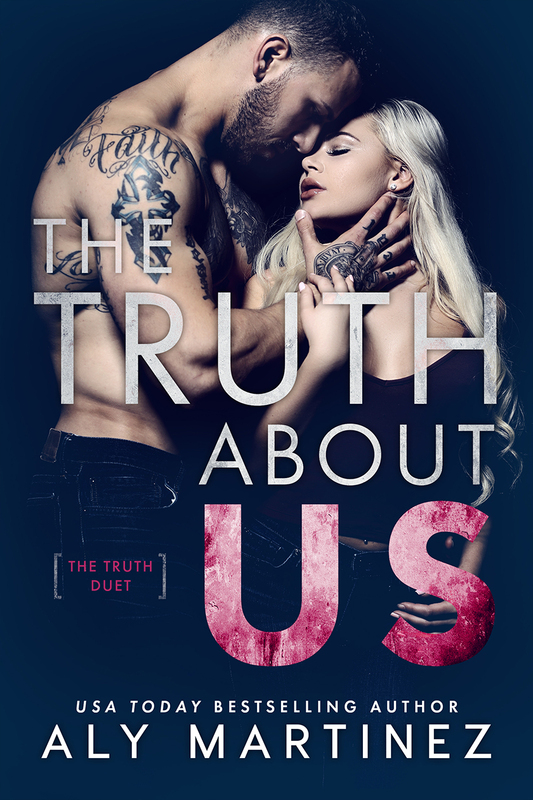 The Truth Duet is another great suspenseful contemporary romance. 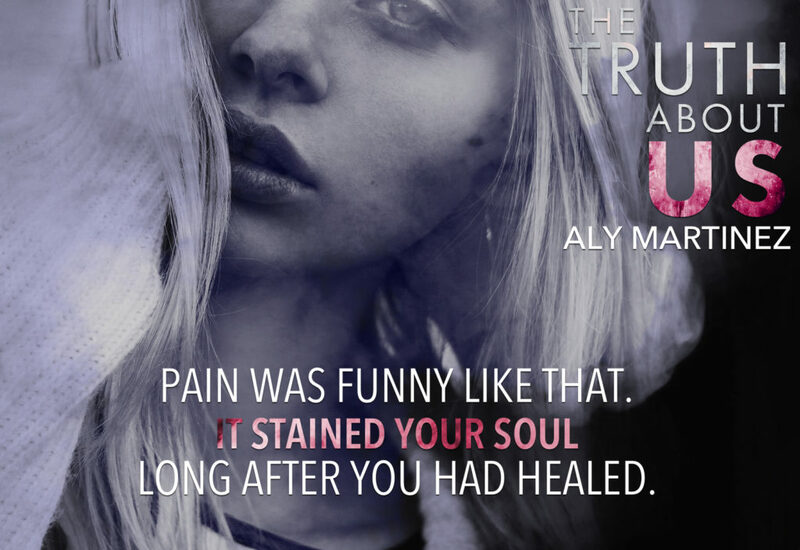 Aly always does such a phenomenal job in coming up with original stories, with intriguing characters. 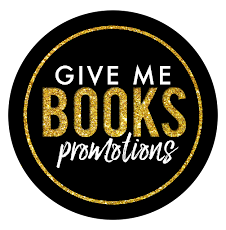 I was hooked until the end, and the author also did a great job in keeping the reader guessing. The only thing is that I wanted this story to be longer. I just wanted more because I love these characters so much. I wanted a bit more suspense, and I thought the final climax happened a bit earlier than I would've liked. But overall I was satisfied with the story, and the extra chapter in a secondary character's POV was an extra bonus I loved. I want to know more about what was told in that chapter, so I am super excited that there will be a book telling us more about that.